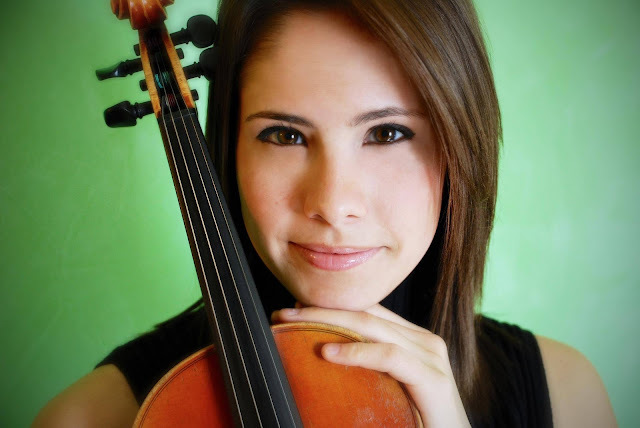 Mia Orosco, age 24, is a recognized classical violinist in addition to a multiple state and national fiddle champion. Mia grew up in Lorena, Texas and began studying classical violin at age 6. She soon began studying violin with Dr. Eka Gogichashvili and fiddle with Joey McKenzie. ​In her high school years, Mia was accepted to the Texas All-State Symphony three times and won the Waco Youth Symphony Concerto Competition. In 2011, Mia was featured on the classical radio show “From the Top"" which features the top young classical musicians in the nation. During high school, Mia won the Texas State Junior Fiddle Championship, the Colorado State Junior Fiddle Championship, the Western Open Fiddle Championship, the National Junior Fiddle Championship, and at age 19, won the Grand National Fiddle Championship, becoming the youngest female to ever do so. Mia has performed and soloed with many ensembles around the country including the National Repertory Orchestra as a section player and soloist, the American Institute of Musical Studies Orchestra, and the Round Top Festival Institute Orchestra as concertmaster. Mia is also a substitute violinist with America's Orchestral Academy, the New World Symphony. Mia recently graduated from Baylor University's music program, retired as the three-year concertmaster of the Baylor Symphony Orchestra , and was awarded the Presser Undergraduate Award, an award given by music faculty to the top music student guided solely by consideration of excellence and merit. She recently won the Baylor University's school-wide solo competition, Pro Semper Musica, and performed on the winner's recital on the SMU campus in Dallas. Mia also retired as the String Area Representative on the Dean's Student Council, the Baylor Symphony Orchestra Representative/Graphic Designer and the Baylor Violin Studio Representative, where she worked to advertise and and promote the classical music available to the public at the university. ​Mia is currently pursuing a master's degree at Indiana University with Kevork Mardirossian, teaching classical violin and fiddle, and free-lancing.